First off, let me say that Mike DiMeo's vocals are fantastic as expected and Mark Reale has come up with some of the best guitar work around again. Mark Reale's driving, yet catchy riffs and interesting solos are the core of Riot's sound. Tony Harnell again makes contributes backing vocals in this album. As most of you know through his work with TNT, Harnell's soaring voice is unique and I think his vocals make for a more complete and rich sound overall. The production is crisp as has been the case with this band during the last few releases. Bobby Rondinelli (Ozzy, Blue Oyster Cult, Rainbow) does a great job on drums in place of Bobby Jarzombeck who left to join Halford. I was a bit worried about the departure of Jarzombeck, but Rondinelli is a very capable replacement. In my opinion, Sons of Society was a weak album by Riot standards in that the songs were very anonymous and failed to stick in my memory. The trademark Riot melodies seemed lost on that album. This album sees the return of those memorable melodies in a big way. 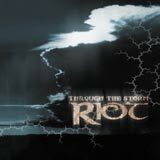 The songs certainly aren't the heaviest that Riot has recorded during the DiMeo era, but at least they are well written and demand continuous spins. In fact, the song To My Head has a distinct hard rock feel, but the melody and solo will grip you upon first listen. Only You Can Rock Me is a bit of a different direction for Riot. It has a very bluesy feel to it, which I'm normally not a big fan of. But, add the guitar work of Mark Reale and an infectious melody, and you have another winning track that Riot can be counted on to deliver. After listening to the first few songs of this album, I was sure it was a killer album. After several listens to the entire album, I have retreated on that opinion slightly for a couple of reasons. First, Essential Enemies feature some distorted vocals that really make Mike DiMeo sound horrible during the verses. In my mind, this effect really kills the song despite the cool riffs and solos as well as Harnell's masterful backing vocals during the chorus lines. Hopefully that was an experiment the band will not repeat. DiMeo's voice is one of the best around, no strange effects like this are necessary! Secondly, the album ends with two decent, but mostly forgettable instrumental tracks. The album bursts in with plenty of power with Turn the Tables and Lost Inside the World, but ends with a whimper. In the end, I feel that Riot has improved upon Sons of Society greatly. The song structures are much improved and contain the wonderful melodies that were somehow missing on the last album. The guitar work is fantastic as usual, and the backing vocals of Tony Harnell give the songs an extra bit of energy and variety. I could have done without one of the instrumental tracks and the out of place song Essential Enemies, but this is still a great Riot album. Fans of Inishmore should like this album. However, I can't say Through The Storm album eclipses that album, but it's not far behind. If you like songs that are built around catchy melodies, excellent guitar work, strong backing vocals, and excellent production, buy this album!